I got into juicing after watching “Fat, Sick and Nearly Dead.” Great documentary, and gave me the final push I needed to take the leap into juicing. Many people do juice fasts, but in our house it is just a supplement to our diets. Great way to pack in a lot of micro-nutrients, we do a ton of juicing if anybody in the house is sick. Otherwise, we juice a few times a week to use up produce and get some extra fruits and veggies in. Local toddler and I love green juices, but those are an aquired taste. 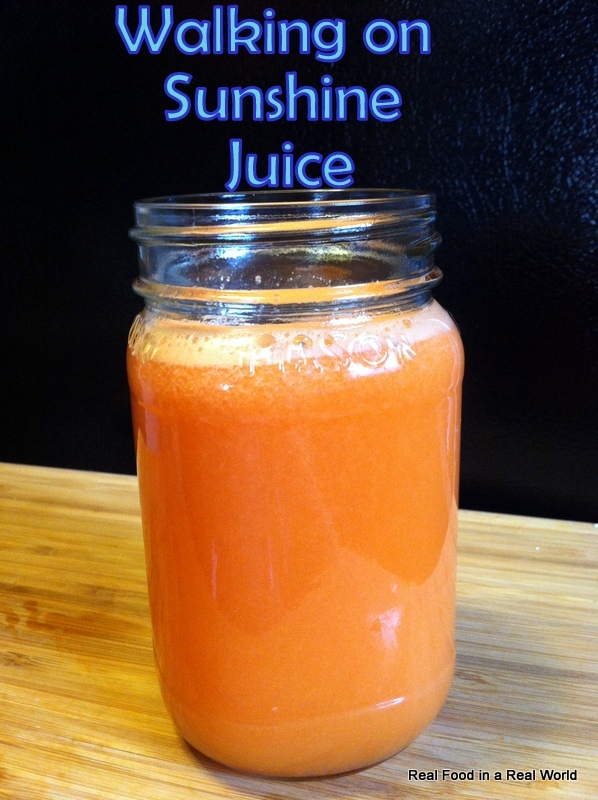 Walking on Sunshine is a great into to juicing. Making two servings of juice is my usual mojo. 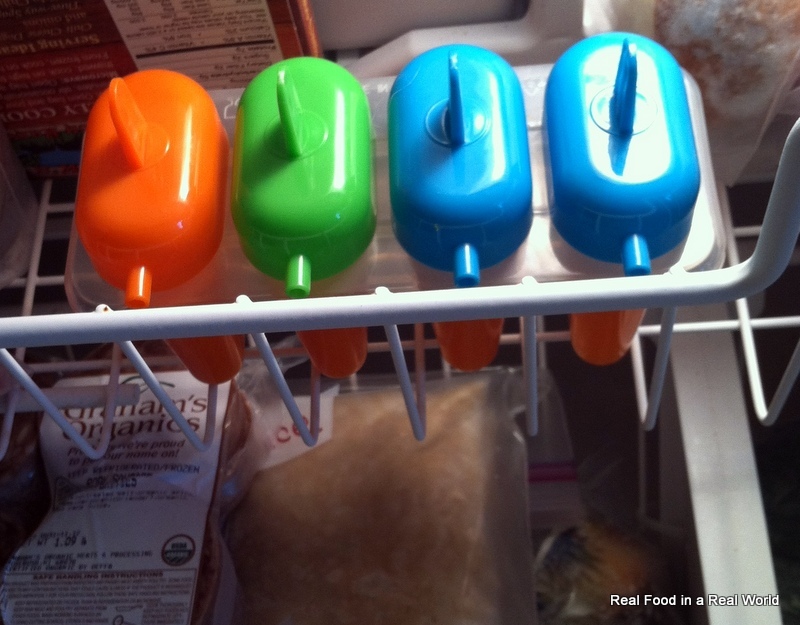 I usually drink some, save some for later, give some to local toddler, and make some popsicles with the leftovers. I have a cheap juicer from Aldi, I eventually will get this Breville Juicer. I really now have my eye on this Omega one on the recommendation of Grant. 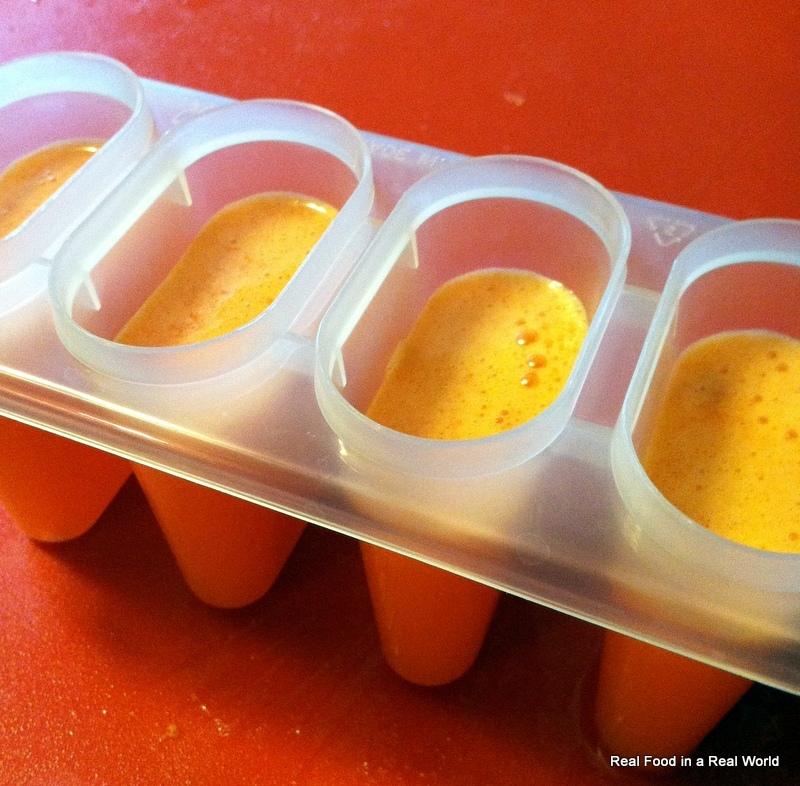 If you are using a cheap juicer, the best way to get the most juice is to re-run the pulp. Throw everything in the juicer except the lemon. I don’t like the flavor of the lemon when it goes through the juicer, so I squeeze it into the juice. 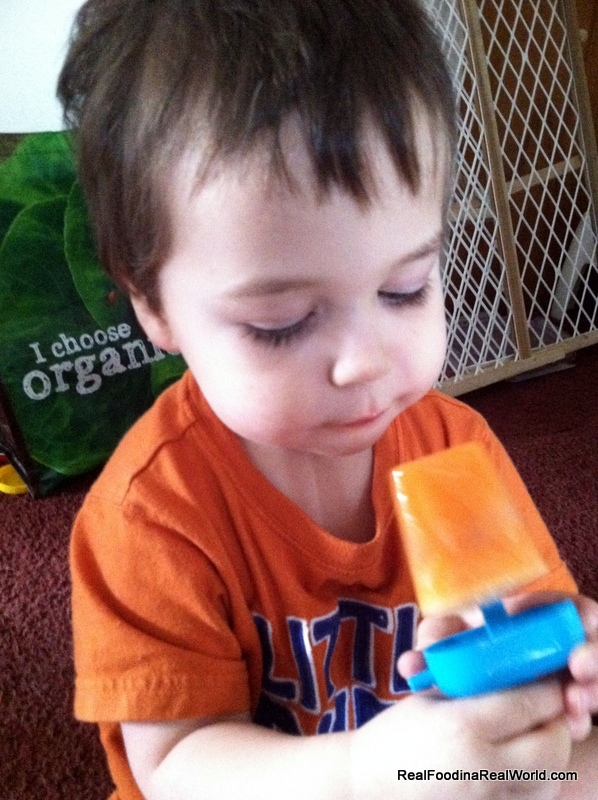 Local toddler loves fresh juice, but he might like popsicles just a little bit more. Disclaimer: Any Amazon links I post are probably affiliate links. This means if you buy that item via that link I make a few pennies from Amazon.